Engine 1-3 was dispatched and responded to the barn fire at 2376 Loudon Road as part of the working fire dispatch. 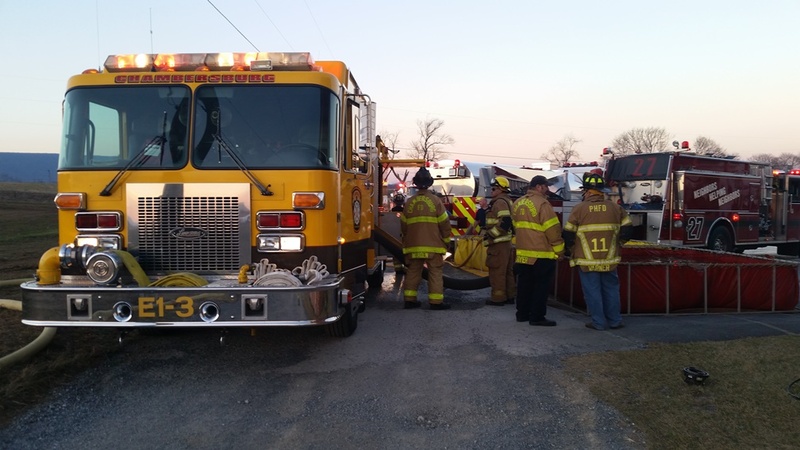 Engine 1-3 arrived on scene and was assigned to set up a draft at the porta tanks that flowed approximately 150,000 gallons. 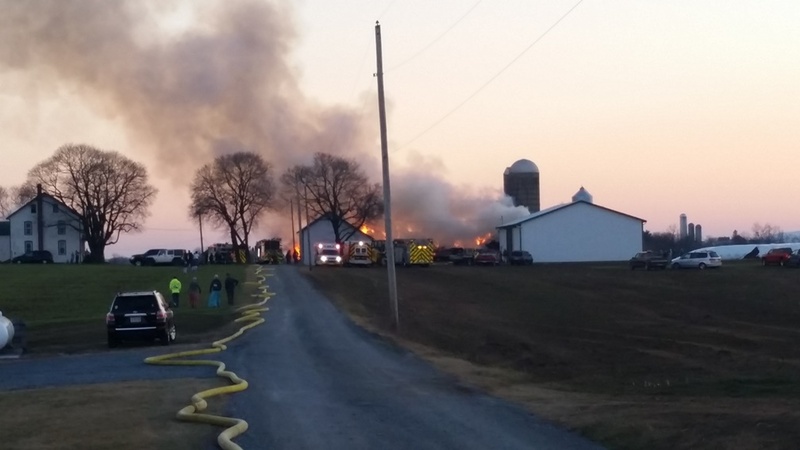 Truck 1 was re-routed from another incident and arrived on scene to find a 100 x 50’ barn well involved. Truck 1 staged for ladder pipe operations that flowed approximately 150,000 gallons via the ladder pipe. 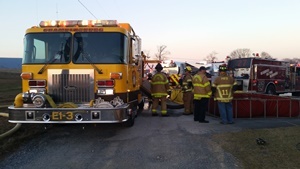 Apparatus was on site for approximately four hours.